The Big Travel Podcast: Exploring Life-Stories Through Travel. 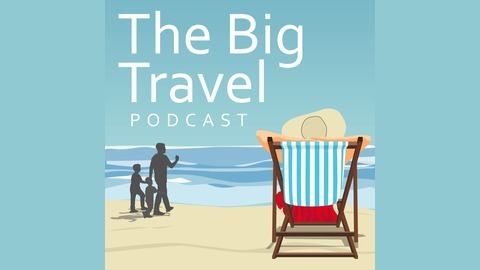 Taking you on a journey of discovery, with a wonderfully diverse selection of characters, The Big Travel Podcast explores life-stories in travel; from childhoods with little money for much more than camping holidays to fabulous tales of exotic climes and incredible adventures. Politicians, Paralympians, famous faces from TV, radio, music, stage and screen, SAS soldiers, adventurers and ordinary people taking extraordinary journeys tell their story of life through travel, and through this, The Big Travel Podcast finds out what it is about travel that inspires us, that makes us laugh, love, cry and sometimes cringe yet above all keep travelling. 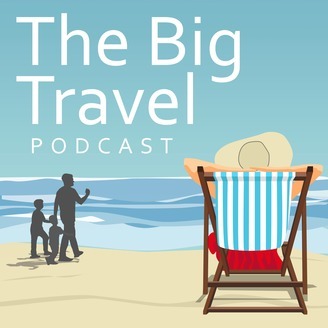 The Big Travel Podcast is hosted by Lisa Francesca Nand, travel journalist, presenter, writer and filmmaker. Having done what many people dream of – ditching a corporate career to travel, the proud founder of adventure travel company Yellowwood Adventures, Sam McManus, has created the life of his dreams travelling to remote parts of Ethiopia, Iran, India, the Himalayas, Mongolia and more. He’s been woken up by 30 men with Kalashnikovs in remote African mountains, shaved his head and worn orange pyjamas in a Shaolin Monastery and set off into the Amazon jungle with not much more than cigarettes and a machete.